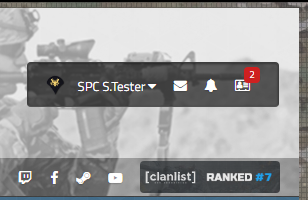 When a request is submitted by a soldier, a notification will appear in the user bar and in the sidebar of the forums page. This notification will only go away once the request has been moved to the archive. 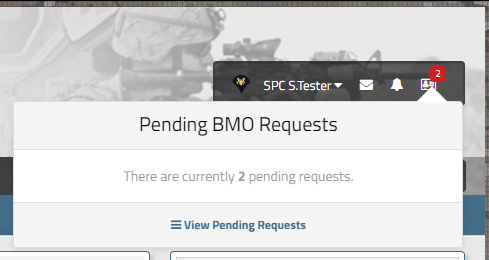 To access the Requests, click on the notification and then click on View Pending Requests. You can select multiple entries to manage at one time. This is useful if you have multiple requests for the same item and batch process them, then need to archive all the requests. You can click the BMO Requests link from the breadcrumb to find the parent page which has a link to the Archive. You can edit the request if the soldier submitting it made some sort of mistake. You can move the request to the archive from this screen once you have processed the request. Add comments or status updates as appropriate. Click Submit when finished.